YES -- we are going! Today, we received our online confirmation to a conference that Robert and I are looking forward to attending: Catalyst East 2010 in Atlanta, Georgia! About a month ago, we received the happy news that we were awarded scholarships to the event. I am so grateful for God's favor! 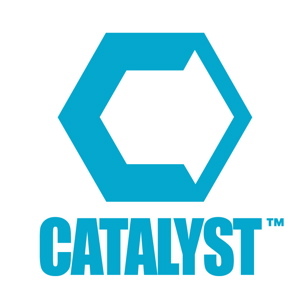 What is Catalyst? The team behind it explains in these words. "It pains us to call Catalyst a conference. Catalyst is way beyond a conference – it’s a powerful convergence of next generation leaders. It’s a fully immersive learning, worship, and creative experience loaded with the high-octane energy of thousands of like-minded leaders gathered together to exert influence in our generation. And once you’ve been exposed, you’ll call it what we call it – pure leadership adrenaline." 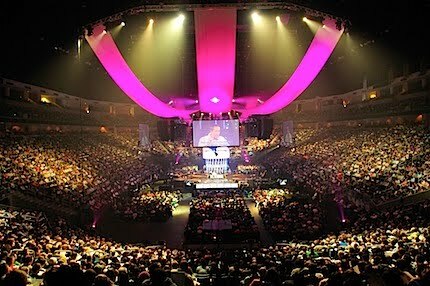 The line-up of speakers promises powerful moments: Andy Stanley, Seth Godin, Beth Moore, Bishop T.D. Jakes, Francis Chan, and Perry Noble. And there is a lot more to look forward to in the area of worship and labs (which takes place the day before the main conference). If you are thinking of going, you still have time to register! Click on the video below and see why this gathering of leaders cannot be missed.